The brief called for range of social and sleeping places to allow for different generations to enjoy the holidays together. 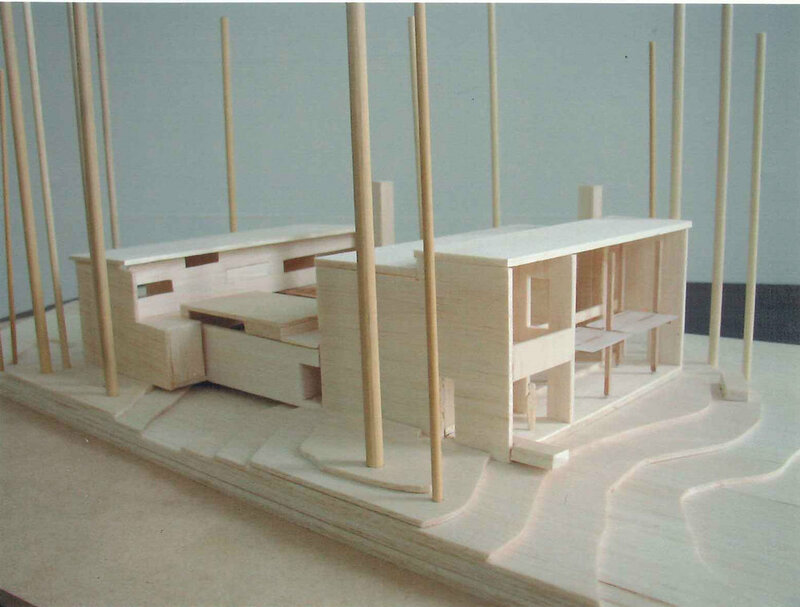 Living area and parents’ bedroom are located in the front looking out to the beach. Children and guests are located at the rear with views into the courtyard and diagonally towards the beach. Externally the house has simple finishes which will weather well. Cladding is wide vertical cedar weather boards mounted on pine battens and restrained by screws and large square brass washers to minimise cracking (similar to reverse board and batten). 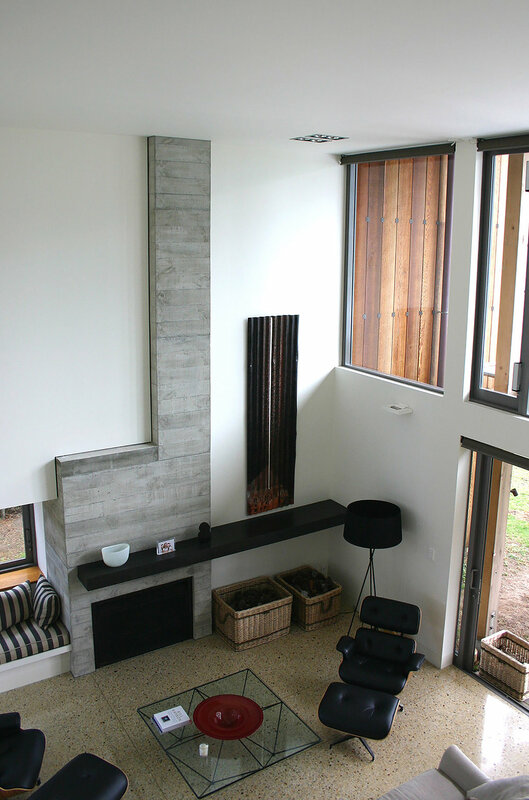 Fireplace and pools are fair faced concrete with horizontal rough sawn boxing. Courtyard decking is large pilularis timber reminiscent of a wharf.